On January 16, the Japan National Tourism Organisation (JNTO) and the Embassy of Japan in Spain held an event to celebrate the 150th anniversary of diplomatic relations between Spain and Japan, in which tourism, culture, sport and fashion were the main protagonists. 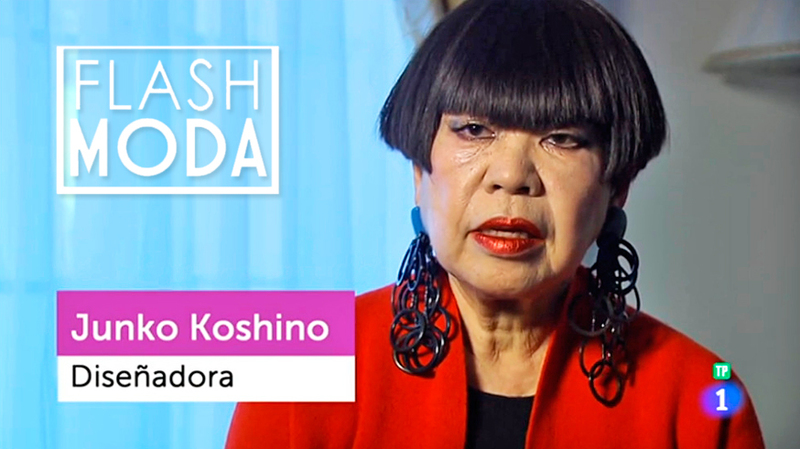 Among the different communication actions, The Blueroom Project managed the presence of the fashion designer Junko Koshino, special guest of the celebration, in the “Flash Moda” (“Flash Fashion”) program of TVE. During the interview, which was broadcasted on March 17, the fashion designer presented her creations based on the reinvention of the kimono, the traditional costume of the Japanese culture. In addition, Koshino spoke about her origins and influences, which were reflected in the fashion show of her designs during the event. Flash Moda is TVE’s leading fashion program, with an audience of over 760,000 viewers, broadcasting on weekends. Flash Moda is presented by Nieves Álvarez, an internationally acclaimed fashion model.